Forward Evgeniy Shikavka, who is currently under contract to Larissa in Greece, joined the club January 1, 2019. 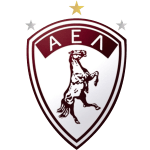 At present, Larissa is in tenth place in Super League (Greece), while in Greece Cup (Greece) (group Gr. 8) they are in second place. Born on October 15, 1992, Evgeniy Shikavka's age of 26 underlies his team's mean. Measuring 185cm, Larissa's average player height matches the one of Evgeniy Shikavka. He had 14 match appearances this season. His shortest spell with a club currently counts three months in his latest side. 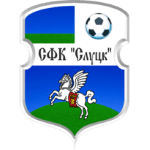 Evgeniy Shikavka impressed in Vysshaya Liga 2018 (Belarus), reaching his personal record of goals. The longest period that he stayed in a team was three years and a day in FC NFK Minsk (Belarus) He is playing as forward in Larissa together with Evangelos Nousios, Radomir Milosavljevic, Milos Deletic, Marko Nunic, Nikola Jakimovski, Petar Kunic, Fatjon Antoni, Dimitris Pinakas and Gertin Hoxhalli. Merely three times a card was given to Evgeniy Shikavka in his tenure. He wears the number 17 strip at Larissa. Concerning the latest matches, his club tied in Super League plus lost in Greece Cup. In the recent term, Evgeniy Shikavka managed to find the net 14 times and provided not once additional assists which accounts for 12.5% of Larissa's goals in Greece Cup 18/19 (Greece). He scored an average of 1 goals and provided 0 assists per game so far, marking a impaired performance when compared to last season, when he had 3 strikes and 0 assists per match. Considering he weighs around 169.75lb, Evgeniy Shikavka is approximately 2lb heavier than the average player of Larissa. He has shot at least one goal every of the eight seasons since becoming a professional football player. While being substituted more in than out this season, the contrary occured the year before. Moreover, he shows five out and seven in substitutions in total. Evgeniy Shikavka played 19 matches in total and hindermost appeared four days ago. Prior to joining Larissa, he played for FC Slavia Mozyr, FC Polotsk, FC Slonim, FC NFK Minsk and Slutsksakhar Slutsk.